Note the candidate night is focused on the contested races for Town Council and School Committee. Accommodations are reported to be made for the Board of Health candidates where the incumbent (who can't appear) may have a statement read and the challenger (who can appear) will make a statement. 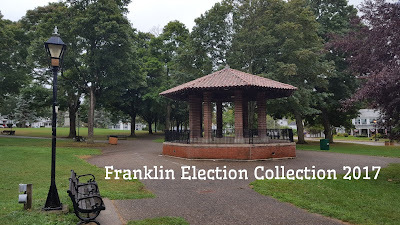 Franklin TV will be covering candidates night live on Tue 10/17 @ 7 PM. on Com Ch 11 and Ver Ch 29. It will be rebroadcast over 2 weeks.